Boy this year went by fast didn't it?! Almost 2012 already, which means it's almost the twins' first birthday! And we are getting past the crazy holiday months into the slower cold months, so hopefully life will go a bit slower. Don't need to worry about gift ideas for weddings, Christmas, or birthdays (besides the babies, which will be easy) for a while, though next year I plan to get started on Christmas a lot earlier than I did this year! But for now I'm not even going to think about it, just going to enjoy a break from major holidays. #1 Blair! 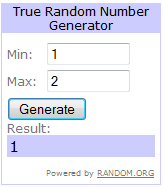 Congrats Blair, I will be contacting you to get your information to send your prize. Thank you all and stayed tuned for some upcoming giveaways! Crunchmasters Multi-grain Crackers Review and Giveaway! 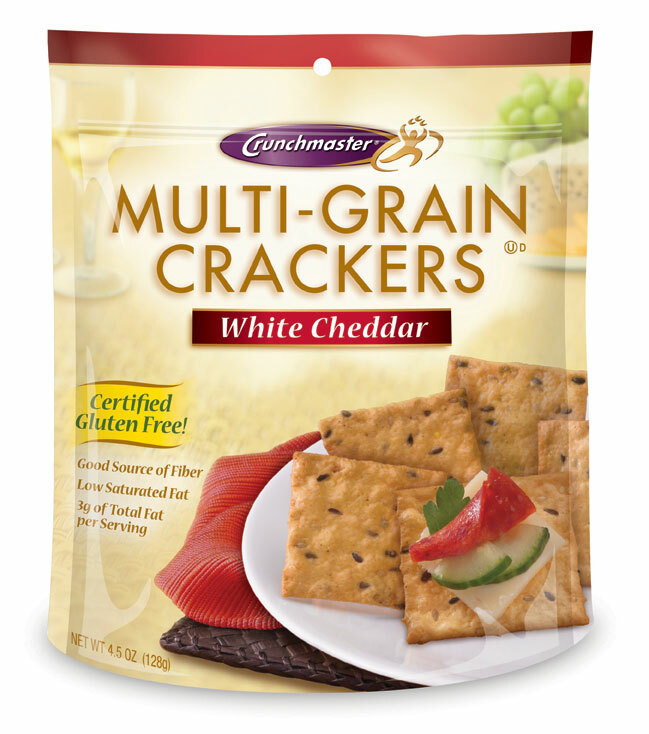 I had the great opportunity to review some nutritious, healthy crackers by Crunchmaster, provided courtesy of Moms Meet. The Crunchmaster Multi-Grain Crackers come in 3 delicious flavors: Sea Salt, White Cheddar, and Roasted Vegetable. Now, I must say I am not really a cracker person. Especially the healthy ones, haha. The never have liked the texture of wheat crackers, or the flavor. I was thinking these crackers would be similar. But the first thing I noticed is they lacked that wheat-y texture because, ta-da: no wheat! That's right, these crackers are wheat- and gluten-free. Great for people who want healthy, tasty crackers but can't eat gluten. Instead they are made from a blend of pure, California brown rice, stone-ground corn, oat fiber, and a four seed blend (they also made a Multi-Seed Cracker you may want to check out). Also, they didn't crumble wheatily (not a word? oh well!) which is nice. Instead these oven baked crackers are very crisp and solid, a bit harder than I expected; they don't leave tons of tiny crumbs with every bite. Now for the taste. For starters, I did not even try the White Cheddar flavor. I just have never liked cheese flavored products, especially cheese crackers, yuck! So I left those to the kids, who had no problem with being my taste-testers. My two older boys ate some and thought they were too hard, but my 3-year old loved them. For the next few days I kept finding him smuggling a bag of crackers into the family room to snack on while watching cartoons. Hubby also tried them and said they were about the same as any other healthy cracker to him, good but nothing exciting. I headed first for the Roasted Vegetable. These crackers have some major taste, a lot more flavorful than I was thinking they would be. In my opinion it was actually a bit much, but I bet they would be amazing with a nice cream cheese spread or dip, which I sadly did not have on hand to try them with. Then I tried the Sea Salt. This was more to my taste; not as much flavor to deal with (guess I'm a wimp when it comes to strong flavor lol). They tasted kind of like healthy, crunchier tortilla chips. I love a nice salty snack, like popcorn or chips, so these are something I could actually see myself snacking on. They would also probably taste good with a spread or maybe cheese and meat on top. I also shared some bags of crackers with ladies in my twin moms group, and they were so excited to try them out. Crunchmaster Multi-Grain Crackers are a great source of fiber and whole grains, use natural ingredients, and are free from cholesterol and saturated fats. A nice healthy snack that you can enjoy as is or with a tasty spread or dip. You can learn more about them at the Crunchmaster website and Facebook page. You can buy them at many major retailers, including WalMart, Kroger, Meijer, and many more. Would you like a chance to win a case (12 bags) of Crunchmaster White Cheddar Multi-Grain Crackers? Well, one lucky reader will! To enter simply visit the Crunchmaster website and comment here to let me know what other product they have that you think sounds good. This contest will end Tuesday December 20th at 10pm EST. Contest open only to U.S. residents. Make sure there is a way to contact you from your profile or leave your email in the comment. A few days ago, one of my Facebook friends was asking if anyone else would be sad if they had to get a new wedding ring because it wasn't the original one they put on when married. I said I would be sad. I love my ring and even if I got an exact copy of it, it wouldn't have the same meaning as the one I've been wearing for over 8 years. I'm not sure if my Hubby feels the same. He doesn't have a fancy ring like the triton wedding bands, it's a simple band but I had it engraved on the inside and I still like to see it. :) I've never seen the reason to buy new rings for anniversaries and such, my wedding ring is perfect to me. Of course, I'm not really that into jewelry so it's pretty much the only jewelry I wear regularly. I only take it off if I'm kneading bread or making meatloaf or other stuff with lots of raw meat, and then my hand feels so weird not to have my ring on. I'm hoping this ring lasts a nice long time.